Outside the tunnel, a fork in the road, with good views either way. So here we all are, the 365th daily post of the most eventful and difficult year Jeff and I have ever endured. It’s time to celebrate survival, coping, and all the blessings woven into the pain and sorrow of the past year. Thanks for being among the blessings! While the future is still very uncertain for us, it feels considerably more promising than it did a year ago. I started this blog before Jeff’s second cancer diagnosis and full extent of the metastasis was known, but before the end of November 2012, it felt as if our world had come crashing in. Now the shock has worn off, Jeff has survived more than we would have wanted to know 2013 held in store, and we both feel more hopeful that the months ahead will bring us continuing improvements in our long-term outlook. Matt, too, has had a rough year, with three hospitalizations in the past 13 months, and the stress of dealing with Jeff’s diagnosis and all the ways it has disrupted our “normal” lives. Matt faces his 5th open heart surgery early in 2014, and we still have not found a job or training program that’s a good fit for him. While we prepare emotionally for what will definitely be a difficult year, we continue to hope and pray for happy endings to all these unresolved situations. With all that lies in store, I’ve given a lot of thought to what I should do with this blog now that I’ve finished a year of daily posts. From a purely logistical standpoint, it’s difficult and time-consuming to come up with new posts every day, and while I have thoroughly enjoyed and needed the distraction, the coming months are likely to be very busy ones as we anticipate at least two more surgeries for Jeff and one for Matt. I’m so far behind on many of my responsibilities and interests that I wonder whether I can continue at the same pace. But I can’t tell you how much I’ve enjoyed hearing from each and every person who has left comments or “likes” at this blog. I’ve discovered so many wonderful people here. I’ve been introduced to the blogosphere, a world where I’ve found support, creativity and encouragement beyond what I had ever imagined. So I’m not going to make any quick decisions. And here is where you can help me out. Because I have shamelessly bribed everyone into leaving comments today, here’s your chance to tell me what you think I should do. While I’m sure to get differing viewpoints, I will consider every suggestion even if I don’t ultimately take the advice. For the next week, I have scheduled a daily re-post from the first week of entries from one year ago, as the relatively few of you who were with me that far back are unlikely to remember them. Hopefully those who have been here for only a few days, weeks or months will enjoy seeing them for the first time. Since I find it hard to keep my mouth shut or my keyboard still, I’ve added a few comments to each re-post, and I will enjoy responding to your comments each day as well. I would miss you too much if I didn’t hear from you, and I want your input as I consider how often I should plan to blog in the future. I’ll also plan to spend that week getting the prizes and party favors on their way via the U. S. mail! So for me, the birthday celebration will stretch out into a week-long event. Maybe longer, depending on how many party favors I have to send out! After that, I’m not sure. I do know I want to change things up a bit, to give myself freedom to include a wider variety of photos, videos and content. I’d like to introduce some of the people I’ve met online, and to share some of the inspiring, fun and helpful things I’ve enjoyed via blogs, Pinterest and other social media. I can’t stand to leave the vast riches of the internet totally untapped. So I plan to occasionally re-blog or feature others’ work, assuming I can secure permission. Some days I may feature just a photo or quote, or something funny or inspiring, and some days I will post according to the usual format I’ve already used 365 times. What do you think? What topics, photos, quotes, or other fun stuff do you enjoy most? What would you most like to see here in the coming year? Would you prefer that I post only 3-4 times weekly, once weekly (or even less), or would you prefer a daily post, even if it was just a brief quote and photo that didn’t necessarily include commentary or even go together? What about book or movie reviews, craft ideas, handy hints (a.k.a life hacks) or other less abstract content? There’s plenty to talk about, that’s for sure! If you prefer your comments to be anonymous, let me know and I’ll honor that request; just let me know what (if anything) you are willing to have appear online. Because I moderate all comments, and know many who are too shy to comment in a public forum such as this, I am willing and able to keep an entire comment private if you prefer. You can still enter the contest even if you don’t want your comment posted. Remember, everyone who posts a comment today will be entered into the drawing for prizes described in “You’re Invited!” (click on the link above – and be sure to read over it if you don’t remember the rules). If you don’t really have any opinions to share with me about where this blog should go, just tell us a bit about yourself: what country or state you live in, how you found us, interesting stuff about your human or animal friends and family, links to any online sites or blogs you may want us to visit, or really anything else you’d like to share. As ever, the only requirement is that your comments should be encouraging or at least neutral; this blog is, and will remain, a safe and hate-free zone. Thanks again and again, to everyone here, for helping us weather a very difficult and eventful year. Whatever lies ahead, you can be sure we do plan to take that fork in the road! I do not wish this to be anonymous; nor do I want to be entered for any prizes or party favors (hey, I did ask for, and enjoy some of your distinctive teas). People throughout history have “marked time” in compelling ways. I am probably most touched by the efforts of prisoners of war. Some of these can be researched at the museum located on the former site of Camp Sumner, Georgia. (To go into the details of these efforts would detract from my input.) The point I want to make is that for me to comment on these ways of marking time would be to violate the sanctity of the effort. All I can do is applaud it! And yes, celebrate a masterful work – whatever you decide to do at this “fork in the road” will be supported, 100 percent, by me. Julia, bless you for taking the severe difficulties of the past year and turning them into viewpoints of inspiration for all of us, your readers. I found you from the link you posted on The Upper Room one day and I’ve been here ever since. In fact, they’re the two places I go for quiet reflection to begin my day each morning, and then I read the comments on your blog at the end of the day because I find them interesting. As to what to suggest you might do, considering the amount of time and energy that you lovingly pour out for your family and for this blog, may I suggest that you consider this approach. Keep up with the format you now use but only post it on Sundays; I would so enjoy starting off my week with the photo, quote and reflections that I have come to love. Then on one or two other days of the week, surprise us with a potpourri of content that seems fun or right to you at the time. This should always be a place that’s an enjoyable, inspired outlet for you. I would hope that it never ever starts to feel like a duty and so it should be something you look forward to doing. Photos (love your eye for photography! ), fascinating quotes you’ve tucked away then pulled out for us, recipes, crafts, and whatever catches your attention — it would all be good! Also, please keep sharing with us the happenings in your personal life. Our hearts reach out to you and Jeff and Matt, and we can support you with our prayers. Judy, thanks so much for your kind words and suggestions. I really like what you suggest I do with the blog; it is similar to the way my own thoughts have been running (although I may still post a “one year ago today” link each day, just for nostalgia and as a sort of reminder of 1 Samuel 7:12). I’m so glad you enjoy the comments – they are definitely my favorite part of the blog. So many interesting, funny, thoughtful and happy people here! It has helped this big big world seem a bit smaller, friendlier and more loving. I appreciate so much your thoughtful participation here! Several times, my comments on Sundays have referred to my personal belief that it’s “the Lord’s day” (not Eric day, nor share-a-holiday-recipe day, etc.) Would not a Sunday evening post, or even 3:00 O’clock Monday morning still allow a “begin the week” concept? That’s one thing I like best about blogging; it can be written in advance, posted according to a schedule, and read whenever the reader finds it most edifying! That being said, I do think it’s nice to leave at least one day open, whether from the standpoint of “needing to write” or “needing to read” or do whatever else might be more a distraction than a joy. I enjoy your posts and the photos. Since I agree with Judy and she has said it so beautifully, I’m just going to join in her suggestions. Thanks for sharing. I found you through The Upper Room, also, and it has been a blessing. I love photography (I’m not as good as you are!) and I always have my camera with me. So you are an inspiration. God bless you always. Thank you Lydia! If you always have a camera with you, your photos will get better and better. My husband would probably say that anyone who has taken the (literally) tens of thousands of photos that I have taken over the years, should have gotten at least somewhat good at it! But truthfully I have forgotten most of what I learned in my college photography classes in the mid 1970’s — and with the ease and “free” nature of digital photography, I just snap away and have fun with it. If I can inspire others to enjoy this wonderful pastime, I have accomplished something worthwhile! So many of our dearest readers here came to us from Upper Room. It’s a place of continual blessing for those who join in that community! Thanks again for being here, and for your kind wishes. We all have been the recipients of so much encouragement through your blog this year! Thank you for your hard work and for being such a shining example of fortitude and courage. The idea of expanding the scope of the blog is intriguing. in my opinion you should not hesitate to use reposts whenever you wish. your material is timeless. That being said…The blog is yours, your life is yours. You MUST do what you are able and desirous of doing. Praying for the Lord’s richest blessings to be with you and Jeff,And Matt in the coming year! Carla, I love you too and could never thank you enough for all your kindness, encouragement and wonderful example through nearly 57 years! Bill Cosby used to joke that every one of us is still alive today because of our grandparents — how true! — but I would add “and because of my big sister.” Thanks for being here! Good morning,Julia. happy anniversary! 🙂 I found your blog on the UR. I think. you should not commit yourself to blog every day. only when you need or want to share. With your family commitments, you will be busy. I enjoy reading your blogs when you post them. Big hugs. enjoy today. Thank you Merry, you are well named! Your presence here always makes the day a bit happier for me. I appreciate your kind words and generosity here and at Upper Room. I am sending you cyber hugs in return! I’m so happy you found us here. Self care is never a selfish act. Be a good steward of your resources as you provide the care and support to those whom you love. Thank you for inviting us into your lives. God Bless! Thank you Conrad, you have expressed a truth that is easier to accept intellectually than to live out on a daily basis. Stewardship of our various kinds of resources is a challenge each of us faces, one that we do well to examine and re-examine as the appropriate use of them is so changeable. I appreciate your kind words and good wishes! My life has been blessed by your blog and have enjoyed your journey with your family. and it can be seen on You Tube. I have shared your quotes and they have encouraged others. My thoughts and prayers are with Matt, Jeff and you. Rick, thank you so much for your comment, and I will certainly look for that song. I just love being able to go to YouTube when I need to listen to something beautiful or inspiring while I am working at the computer (not just on this blog, but seemingly so many household and other tasks are all ending up online now). It makes me very happy to think of people being encouraged by anything I have shared. We really need and appreciate your prayers; such support has sustained us for many years now and especially over the past year. I appreciate your visits here and thank you for sharing your thoughts with us! here’s the joke of the day. One of my blogs I published is called “Never call a Librarian a “bookie” Now as I just took a cake out the oven( what kind do you ask ?) It’s a lemon/pineapple yogart applesauce cake. ( thats a mouthful isnt it).. Your blogs to me are’ better than those magazines you see next to the supermarket checkout counter. We have a friendly, cordial, polite, friendly, respectful( almost broke out and starting singing Aretha Franklin”R-E-S-P-E-C-T” relationship and that’s prize enough for me to honor and treasure. Nuff said. In a few hours, it’s going to be another”Mission from God/Cannonball Run with a purpose. Lunch with my 2nd oldest sister in PA who most of us in the family have not seen her in over 20 years. She told me “she took herself out of the family loop”.. Julia, I tell you “like the young people say. Handle your business and “keep it real( your heartfelt honesty in the daily challenges of life you face).God willing, next year my wife and I might come down your way and we would love to visit”your neck of the woods”..( and my “little dogs too lol”..) be encouraged and blessed my friend and I’ll post pics or video of my “Smokey& the Bandit trip minus the car and all the speeding they did..
Raynard, I very much hope you and your wife will head our way and especially “your little dogs too.” As a longtime fan of the Wizard of Oz, that’s a quote I often use myself! I pray that your time with your sister will be blessed. Thanks for the words of encouragement and the comic relief over the past year, here and at Upper Room! BTW Aretha’s song ”R-E-S-P-E-C-T” is a favorite of mine; it’s on my playlist that I use when I need to walk but don’t have the energy. Hard to stay still when that one is on! Thanks for being here. Harry, as you may have figured out, the “stop me when I’ve said enough” is quite a challenge to me! Sometimes I wonder if that point in time came many decades ago! Seriously, I appreciate your being here and participating in the ongoing discussion. Lord willing, I won’t be going anywhere anytime soon, even if I don’t show up quite as frequently. Thanks so much for joining us! Julia, I want you to know how much I have enjoyed your blog for the past year. I read your blog daily, however, I have seldom commented. I don’t remember the exact date that I discovered your blog, but it must have been close to the beginning date last November. I remember it because that was close to the time that my wife fell into deep depression. She began talking about suicide, and I began seeking help for her. I ran across your blog in my search for help on the Internet, and shared it with her. She didn’t read it unless I insisted, which I did occasionally. However, I became a daily reader, and have seldom missed visiting your site each day. It has been such a help to me, as I tried to help my wife get through her terrible and deep depression. She has been in therapy for nearly a year now, and is doing much better. She is able to function and live a somewhat normal life. I am retired and was able to stay at home with her during those early days of her deepest despair. It was a daily struggle but we finally made it through those dark and scary days. Your blog was a bright spot for me each morning, and I thank you for being there each morning as I started my day. You have been such an inspiration to me. Your upbeat attitude as you went through all the trials that you have experienced this past year was such a blessing for me. I can not thank you enough. I wish you well in whatever you decide to do next. If you decide to continue your blog I want you to know that I will visit it each morning, as I have this past year. Thank you Jim, I will always treasure this comment. I have a deep sympathy for anyone who becomes depressed to the point of being suicidal because I was there myself almost exactly 10 years ago. Long story for another day, but God’s mercy on me has only strengthened my resolve to never, ever be there again. I suppose my decision to start this blog was based in part on that ongoing resolve. In my stats I see search terms that lead people to my blog, and many of them indicate that someone is in despair or has a loved one in despair. I pray for whoever makes these online searches, and often ask others privately to pray for them (these statistics are always totally anonymous so I never have any idea who comes to my blog from them) but this is the first time I have heard directly from someone that they found me from an internet search on behalf of a person who was struggling. If I could help just one person in that situation the entire year would have been time well spent. I pray that you and your wife will continue to grow into happier times together. For me, the dark and scary days only ended up increasing my joy in life and my deep conviction that it is a priceless gift above all others, no matter what circumstances it may entail. God bless you and others like you who have the courage to help others walk through these dark places, and God bless all those who scatter sunshine, hope, humor and cheer, here online in their blogs, or wherever they go. I deeply appreciate your presence here, and your words today! God bless you! I read your Defeat Despair blog daily as part of my morning devotional. I came to know about your blog because I also read the Upper Room daily devotional…I used to read the print version of UR for years and then switched to the online version which has the added benefits of the comment section although I have never commented on the UR. I came to know your blog because of your posts on the UR. I was not going to comment today…except that you say that you may no longer post daily…I personally would miss the daily photo and caption, quote, and commentary. That being said, keeping a blog “alive” is hard work and you are to be commended for it. I did not realize how much work you are doing above and beyond what I’d thought until today when I had to register to sign in to make this comment. As an “outsider” I only saw the photo, quote, and commentary…not the other comments nor your responses to everyone. Wow! Wow! Wow! I’ve also enjoyed learning about your life…and how you are managing at this difficult time. Thank you for sharing. About me? I’m a recently retired 55 year old school teacher. (The state of Ohio is changing the retirement rules so basically it was get out in June or work another 12 years! Hmmm…) I promised myself a year of ‘rest’…and not to fall into another life of busyness. My comment on this blog today is a huge exception. Hi Pat, thanks so much for your wonderful response. I had a long reply written but it somehow got deleted. I am glad you discovered the comments; the discussions there are my favorite thing about the blog. When I read the question about how do I archive, I laughed aloud and read it to Jeff. He said the answer is “hardly ever” or something like that! 🙂 Seriously, I theoretically keep them in online (backed-up) folders by month, year and topic — but I take so many that my collection has far outstripped my ability to keep them sorted. I even borrowed a very high-quality scanner a few years back and scanned 500 old family slides (a painstaking process) only to lose them in a computer crash. I had them backed up to a CD, but the CD failed and was not readable so all were lost. You’d think I had learned my lesson, but I still don’t back them up as often as I should. Oh well, there are so many that I would probably not even notices if huge numbers of them went missing! I am so happy you enjoy the blog, and I appreciate your visits here! Please, please, please keep up the daily post! I hate to request that because it’s so much work for you but the result is so meaningful for us. It’s wonderful to start the day with something beautiful, thought provoking and positive. Re-posting older items is a great idea. Also seeing one of your beautiful photos with a quote is another good idea. Or just a photo one day or just a quote another day. To me the best part of your blog is that it’s always positive. You’ve travelled to so many places, how about an occasional comment on places you’ve been or places you’d like to go? Thanks Ann, I wasn’t sure whether you wanted me to edit out the comments below your address, so I erred on the side of caution. I would love nothing more than to write about the places I’ve been – travel is in my blood and the challenge would be knowing where to stop talking once I got started! There are ways to blog that would be less work than what I’ve been doing, or at least a different type of work. Time will tell how busy the coming days are, but I will be back as often as I can, even if only to share some of the beauty, wisdom and amazing talent that I find online. I appreciate so much your presence here! 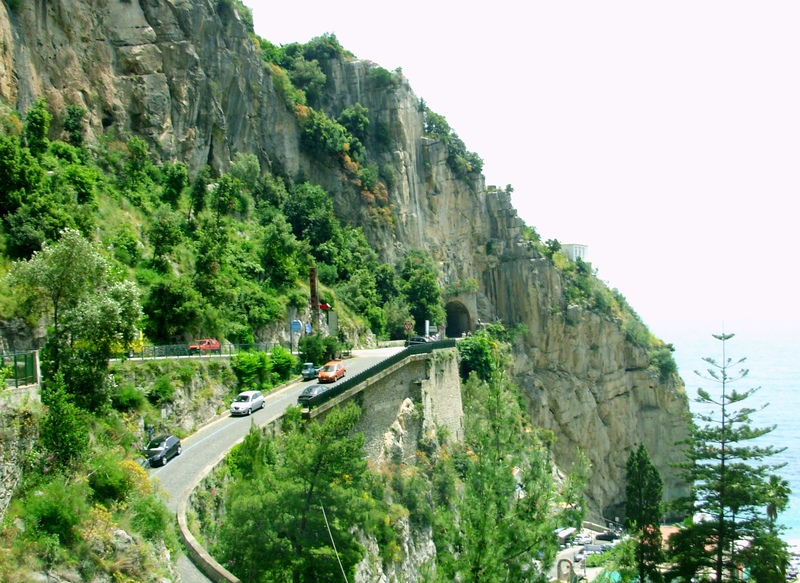 The Amalfi coast is beautiful and the drive is breath-taking, not always in a good way😊. Our guide stopped the car in the middle of a tunnel to walk us to a view of what might have been Sophia Loren’s house! Thought we’d be run over getting back to the car but he just shrugged it off in the way only Italians can do. I love Italy!! Julia, what an achievement ! I’ve enjoyed reading your wonderful posts and it has really been as if I’m listening to the voice of a good friend. You convey so much of peace and strength through your writing. My prayers are with you. No matter what the frequency of yr posts, your place in my heart has already been made. Looking forward to more beautiful thoughts and posts. Special regards to Jeff and Matt. Thank you so much! From the time I first saw the title “Greedy Reader” I knew I had found a kindred spirit! I appreciate your prayers, visits here, kind words and good wishes for us. Your encouragement means a great deal. Thanks again! Oh my, Julia, where do I begin? First with a toast of champagne and a side of chocolate-covered strawberries to celebrate your first full year of blogging! Congratulations! I also want to honor that you have so much on your plate with Matt and Jeff ~ may you find comfort in knowing that you are all kept in my prayers as I can’t even begin to imagine how hard it is to Defeat Despair, but you are doing a beautiful job of it! My suggestions for the coming year are to continue to blog for yourself. I find that I need to blog as well and I enjoy the friendships that I have made through the blogging community. It’s a bit of ‘me’ time that I treasure so my suggestion is to allow your blog to flow however you wish and if posting everyday is too much, then so be it. Myself, for the month of November, I am posting daily because I took on the NanoPoblano challenge, but otherwise, I publish when I see fit and it suits me. I like the idea of posting others’ posts as it brings us all closer as a community. I know that I’ve enjoyed reblogging others’ posts on my blog and vice versa. Again, I think it has to be what you are comfortable with ~ you can certainly make up the rules for yourself as you go along for this is your little peace of Heaven, your blog, your rules, here you are the Queen! So go for it! Do whatever pleases you for it surely keeps us coming back! May you celebrate today and everyday! You have inspired us all for the last year and we are certainly all looking forward to the coming year with happy anticipation! May ALL of your wishes come true ~ may your family find peace, health and healing for all. Julia your words each day have opened so many windows of thought for me. And today (separate from your requested question!) I am thinking I wish I worked in an arena besides the dog publishing arena , because I would love to get your work published! I celebrate the year of words and their positive impact on so many…. Now that you come to a fork in the road, you will know just what to do. Yep. Take it. ;). Thank you so much Lynn, it has been a true delight and honor to have you visit us here. I felt as if I already knew you (through Kathy) but I feel as if I have come to know you so much better the past year. I still enjoy the lovely Chinese teacup each and every day that we are in Alexandria where it is kept. I appreciate so much your support and encouragement! Your blog has been such a wonderful and inspiring way to start the day, both in word and photos. However you chose to continue – and I am so hopeful you will – I’m sure all your faithful readers will welcome you with enthusiasm. You and all your family are in my prayers each day. Thank you, Veronica! I am always so happy to learn of someone who is enjoying the things I photograph and post. There is, in all of us I think, such a desire to share beautiful, funny or happy things. Those who read here, with or without commenting, are part of that cycle of sharing that increases the joy of our everyday blessings. I appreciate your visits here, and your good wishes today! Good morning Julia, I know you will make the right decision about your blog. I have enjoyed reading it and at times it has made me have a better day. I’m sorry that this is the way we got together again, but we do come to the forks in the road. I have been praying for Jeff and the family and without your blog I would not have been able to keep in touch.What ever you decide, will be great, because you have a way with words. I’m not sure how I’m sounding this morning but just know that my prayers are with Jeff, Matt and you. One more thing, without your blog I would not have know or seen Grady. You all have a great week and looking forwarded to reading. Hugs and love to all. Carolyn, you are sounding beautiful and loving as always! Even though we have always been in touch at least yearly (at Christmas) all these years, it has been a special joy to hear from you more frequently here, especially as you and Jeff fight such courageous battles against cancer. I fondly hope that someday in the future, if anyone ends up reading any of this, they will look on it much as we look on stories of smallpox; “Wow, in those days there was no cure; how did they survive?” When we get together in 2014 for our 5-year party, I will try to arrange for Grady to be there to meet his Auntie Carolyn and Uncle Terry. He will be about the same age Drew was when you all “adopted” him and Matt. I will look forward to that day! Looking forward to our reunion and to meet Grady. I love my adopted family. Congratulations and I have appreciated your blog and other’s comments this past year, which has been a difficult one . I have learned much from comments etc.,and would hate to see it completely disappear. Maybe take a break to catch up on other stuff then come back? All I know is shoulds can be tyrannical so don’t ,”should yourself.” Easier said than done. Per Veterans day to Jeff and Eric and others- thankyou for your service. Thank you Mike, you have been here pretty much from the beginning, and it will surprise no one that you are among the six people whose names were at the top of the comment statistics when I recorded them a few weeks ago. Now we’ll just have to see who wins the drawing – if it’s Eric, I’ll throw his name back in and draw again because Nyah nyah nayh, he can’t stop me! (Just kidding, Eric!) I know that Jeff, Eric, Dad, and others who read this – including Carolyn’s hubby Terry – will appreciate your Veteran’s Day thanks. It always means a lot to us when people recognize that it’s an often difficult (though also rewarding) calling. I really do love to read your blog and I’m a prayer warrior for your family. I just love the pictures you make. One of my favorite photo was the one of your mom and dad shelling peas. I just wanted to join them with a pot to shell in. I know you are very busy with Jeff and Matt plus the sweet grandson but please contunie to send a blog a few times each week if possible. Book reviews or travel news and crafts…just anything on your mind would make me happy. In the mean time I will keep you in my prayers. Thank you so much Janette! That photo of Mama and Daddy is a favorite of mine, too. It does invite one to pull up a chair and shell, doesn’t it? I very much hope my children and grandchildren will know, at least once, this simple pleasure of touching the harvest with one’s own hands before it reaches the dinner table. You and the many other prayer warriors have been part of our survival for the past year, and will be just as essential in the uncertain months ahead. I appreciate your willingness to accept whatever offerings I decide to put forth here…I love to share things that bring me joy, and there is so much in that category beyond my own photographs and memories! But I am so happy you have enjoyed them. Thanks again for your encouragement, prayers and good wishes! Happy Anniversary!!! I would hate for you to disappear into the ether. I’ve enjoyed reading your blog every day. I’ve loved the structure and rules you’ve set up for yourself (the quotes, the pictures), but blogging really isn’t that strict. It’s your blog, you can write whenever about whatever you want. If you can only do it once a week, so be it. And if you talk about crafts or book reviews, I’d personally love the inclusion. I find that you have challenged me intellectually in a variety of ways over the last year and I’ve thoroughly enjoyed it. Whatever ends up working out for you, I hope you continue in some way. Julia, good morning! Congratulations on your anniversary! I met you in the UR devotional blog. I’ve share your prayers, tears and joy in your journey for the past year. What ever decision you decide, may it be one to give you joy as you meet the challenges in the coming year. Keep us posted in the UR blog. Thank you, Merry, for being part of our lives this past year! Your words have been an ongoing source of comfort and cheer to us! Lastly, THE MOST BEAUTIFUL PART OF YOUR BLOG IS: “THE QUOTE/ DICTUM” WHICH YOU PUT ON EVERY POST, Is the thing which I admire and respect. How I came to know about defeatdespair.wordpress.com : I just vaguely came to your blog but the main inclination came when I read the “About” section/Page of your blog. Harshit, thank you so much for your words of encouragement. I have so appreciated your notes of concern for Jeff (and Matt and me) over the past year, as well as your friendly chats. People of my generation and older will often feel pessimistic about the state of the world, which seems to be changing so rapidly. It is always a joy to be in touch with young people of high ethics and aspirations, all over the world, who honor their parents and their history while looking enthusiastically to the future, hoping to make things better. Thus you and many other young bloggers have given me hope that our world can still strive to become and remain a (mostly) peaceful place where humans continue to seek divine guidance as we stumble along, doing the best we can with the circumstances we are born to. I wish you success and happiness with your education as well as your other endeavors, and thanks so much for being part of our online community, here and at Facebook too! I found your blog earlier this year, through the Upper Room devotional. I started out trying to read from the beginning, a couple of posts a day to catch up; I finally decided to read you daily & add an earlier post if I had time. You are part of my daily devotional time, and as your Halloween posts were so fun, I’m really looking forward to spending the rest of the holidays with you! I live in Southern California & have loved something about every place we have lived. The economy of the last couple of years have made things difficult, but not impossible (my husband has survived every round of layoffs at his job, but had to take a pay cut; I’m a substitute teacher & our district’s furlough days took a big bite out of an already small yearly earnings). Like you, I have two grown sons, whom I love very much. No grandkids, but seeing pictures & video of Grady have made me more receptive of the idea. I am finishing up work for my teaching credential (hopefully, I’ll have it by the end of this year, big push this long weekend). I recently participated in two different writing workshops and hope to start blogging & writing once I’m done with the credential. In August, our youngest son was baptized into another religion. It wasn’t heroin addiction, it wasn’t criminal behavior, it wasn’t mental illness; but it was what happened to us & it has been tough to accept (I keep trying though). Reading your blog daily was fun at first, but the last two months it has been a daily reminder to me to not give in to Satan’s thorns in the side (hope this isn’t too much of a downer for your party, you can edit if so). You are a blessing from God. Your photos remind me of all I want to see in this world; your quotes expand my mind, your tireless responses to all who visits are awesome. I would love to continue seeing your blog 2 or 3 times a week; the important thing is that whatever you do helps YOU “defeat despair.” Don’t let it become a burden, don’t give in to the temptation to not do it when you know it would make you feel better (how’s that for a noncommittal response?). Now it’s time to party!!! Sorry this is so long, edit as you please, and thank for you for taking the time to read & reply to everyone. Happy Birthday!!!! Rene, don’t ever apologize for “long” – I love “long” comments (or couldn’t you tell? :-)) and I dish out way more than I get back in that regard, so I live in the proverbial glass house there. SO MUCH that I’d like to respond to here, but I’ll just say briefly that my husband and I identify deeply with your situation in regard to your youngest son. “Tough to accept” is putting it, if anything, overly simply, and I know so many others have been bewildered that we would find it disturbing on any level considering the other truly tragic or life-threatening situations you mentioned alongside it. I have reminded Jeff continually that we long ago gave our children to God, and we must trust that God will fulfill their purpose and destiny now that our active roles in their lives have mostly passed. Having said that, such total trust can be hard to come by for parents who have built a large part of their every day around the children during those demanding child-rearing years, with all the sacrifices that entails. In my mind, it is never too much of a downer to acknowledge the very real trials and temptations we all face in one situation or another. It is only when we fully understand the “full catastrophe” of living (as Jon Kabat-Zinn so famously put it) that we can fully celebrate the beauties, victories and moments of grace. So by all means – Time to Party! Remember our joy here is but a dim preview of the really big jubilee yet to come! Blessings to you! One of the things I love about your blog is its consistency. I know what to expect. So, my desire would be for you to continue doing what you’ve been doing. However, if it is too time consuming, only post once or twice a week. You already know how much I admire you and look forward to reading your writing. You inspire my writing and my personal growth. So I would be very sad if you chose to give the blog up completely. Love you much!!! Thanks so much, Barb! I am sure I will not abandon my familiar format altogether; over time, doing the same thing becomes easier and easier. A lot will depend upon how the coming weeks and months unfold, but I think I need the distraction of getting a post together now and then to give me an “excuse” to read through inspiring quotes and look at photos, even if I’m not able to do it daily. I am so grateful you have been with me on this (and many other) writing journeys, since long before Jeff’s diagnosis or this blog were ever imagined. That view could take your breath away, but looks like you’d need to ensure good brakes if navigating that hairpin turn. Perfect selection for the input you’re inviting today. Could your photo be a metaphor for life and the many things that pull us in all directions? Life: it’s beautiful, the views are so wonderful you don’t want to miss a minute of it, but sometimes it’s too hair raising and you need to put on the brakes to stay in control. I really hope you can continue to find time to post Julia, even if it’s once or twice a week. Your departure would leave a void in my day and I would miss our visits terribly. That being said, I know it can be very time consuming and often don’t post myself when I’m too busy to reply to visitors. I enjoy the conversation after the post so much and would never want to short change friends who take time to visit and comment. You’re such a fabulous writer and honestly, some well known quotes have had little meaning to me until I’ve read one of your wonderful posts. I think whatever you decide to include, be it book reviews, photo’s, personal reflections or even cartoons, we’ll continue to visit because you’re sharing a little bit of you and YOU ARE generous, lovely and inspiring. Thanks Kelly, I would only add that your blog is one of the first I discovered, and it made me feel as if I had stepped out of the black and white tornado-hit house into the colorful land of Oz! Such stunning crafts and cute kitty photos, but one of the posts I most fondly remember is a wonderful wintertime walk in your city (which others can read about here). You headed to — where else? — a BOOKSTORE where you bought lovely craft magazines, and told how you’d recently donated 300 of them (!) to a local library – I was torn between saying “Good for you! They will be enjoyed by others and the money will go to a good cause!” and thinking “I could NEVER EVER part with those lovely craft magazines!” and thinking “OOOHHHHH NOOOOO, you could have donated them to ME!!! 🙂 I would have GLADLY paid the shipping!” But given the high international rates, uh, maybe not. Anyway, that vicarious online walk was a lovely mini-trip to another world for me. One of many a dreary and sad days when I headed to Boomdeeville for my “happy fix” and was never disappointed! Thanks for EVERYTHING including being my constant and steadfast supporter as I learned the blogging world, and for answering so many behind the scenes questions about WordPress (“Hey, how do I…?”). Spoiler alert: (as if anyone didn’t already know) you are among the statistical top 6 commenters who are finalists for the DDCAA! I’m with you; for me, it’s mostly about the conversation, and the blog is a way of starting it! And yes, the photo is quite metaphorical for my life. I knew this in a vague sense when I chose it today, although not in the detail you rightly described. If I have to negotiate any hairpin turns in the coming weeks, I’ll slow down and catch my breath before I go pitching off into hysterics or depression. Thanks again, for everything, and for walking through all this alongside us! HAPPY ANNIVERSARY, JULIA! I was still up when this post came into my inbox at midnight. I read it then and again this morning. What a blessing this blog has been to me. I’m happy to have connected with you on The Steve Laube agency. Your words are uplifting and genuine no matter where you write, whether here, UR, or on another blog. You have a gift and passion to speak hope and light and both shine in your posts! Blogging takes work. And what you do, everyday, is impressive. I will concur with some comments and say that posting 3-4 times a week could be cool. While I LOVE your pics, quotes and a quick summary, I really really like your ideas about freeing yourself to incorporate a variety of posts! I say go for it! Blogging can be exhausting and mixing up your content might jump start new found energy. Several friends of mine (all writers) blog only 3-4 times during the weekdays and their topics are consistent with each day of the week. Meaning, they have a theme for each day of the week they blog. Readers need/love consistency, which is why yours is so successful. We know what to expect and you do it everyday. This is an idea… Monday could be you infamous pic and quote day (from anywhere about anything), Tuesday could be a link to another blog or Pintrest, Wed could be a video, craft idea, movie trailer and review and so forth. Have a one day of the week be a free for all or hodge podge, where you do whatever your beautiful heart desires or post about something your readers have been itching to read. I hope this makes sense, haha! I believe the Lord will show you what to do and where to take this site. I’m looking forward to your re-posts this coming week. I began following you last late winter, I think. I will continue to follow you no matter what you do! What an amazing year you have had and I wish you many many more to come! You and your family are in my prayers 🙂 THANK YOU, THANK YOU, THANK YOU! Jenelle, thanks so much for this thoughtful response. Wow, it has been ages since I’ve been to Steve Laube’s blog (he is now and forever my dream agent, so put a bug in his ear if he is your agent :-)) so you must have been with us for quite a while. I didn’t even remember leaving a comment there since I started this blog. I do miss Steve’s blog; I find he and his staff generate a great vibe there, realistic but supportive and never snarky. You won’t believe this but weeks ago I drafted up a possible schedule that looks almost exactly like what you’ve described – I’ll try to send it to you via email this week and see what you think. Meanwhile, thanks so much for being here, and for your encouragement! It means a great deal! Jenelle, thank you for the further details, which I think I must vaguely remember now. I am so happy that you found us through that comment. I wish you the best with your query to the Laube agency; he seems to have assembled a terrific staff and I think any submission there would be handled with respect and expertise. Saying a little prayer for you about that right now 🙂 and I hope you’ll let me know how it goes! I’ll get my proposed schedule to you sometime this week for your input. Thanks again for being here! My Dear Julia, I shall return later today. For now, I love ALL the encouragement you impart! I can’t imagine anyone responding today will suggest you stop the blog altogether. I’ll bet my party favor on that! You absolutely SHOULD NOT impede the flow of your wonderful thoughts and ideas that you’ve shared with us and probably couldn’t if you tried! I like your ideas, though, about giving yourself the freedom to mix it up a bit, with content, and also with time commitment; some days, a photo with no post (a picture’s worth a 1000 words anyway! ), or simply a quote, with no elaboration would be still welcome and give others the opportunity to respond to you, a support I’m sure we all agree upon. You write how often it provides therapy to you and don’t worry about determining ahead of time how frequently you will post; you need that leeway. When you post more often than I can read and respond (as has already happened), I save these for my rainy days ahead…..just like you may do with your SF Chronicles! Lots of love to you, Jeff, Matt, Drew, Megan & Grady. My wife and I have been reading your blogs since I first saw your devotional in The Upper Room on March 6th and read the additional blog from their website. The only ones I missed were when we were completely out of touch in the Colorado mountains. I appreciate the incredible pictures and upbeat attitude in your writing. Many have been shared with a small study group that meets in our house. Although I have never commented on your blogs, your family has been included in our prayers. I am an old, retired research chemist living in Oklahoma, doing volunteer work in our church and small town. I appreciate the vast amount of time and energy necessary to maintain the schedule of daily offerings, and continue to look forward to whatever you are able to write. Thanks so much Cliff, it’s almost magical to hear from readers I didn’t know about– as if someone who was previously invisible to me can now be seen! I am so happy you and your wife have been reading the blog and sharing it with others. I also commend you for your volunteer work. It’s my opinion that probably about 75% of the good that is done in this world is done on a purely volunteer basis, with no pay and no recognition to speak of. Such dedication fuels the ongoing energy to keep moving in the right direction in so many venues. I appreciate your contributing here, and everywhere else you help out! I have certainly been blessed in the months I’ve followed “Defeat Despair.” As for what direction next… follow your heart. Personally, I find much meaning in your reflections on faith and suffering. Thanks so much, Tony. I suppose it’s a dubious distinction to have reached a point where one can read the book of Job and say, “OK, NOW I get it.” But I’m not sure I would want to go back to the days when some of its poetry seemed overwrought and repetitive and overly symbolic, either. Someone once asked me whether I thought Job was a literal story and I replied simply “How could I not?” 🙂 I have enjoyed your blog and your visits and comments here. I appreciate your own personal resolve to defeat despair. Blessings to you! What a party!! As mentioned earlier, I can’t believe that a year ago today we found out we were pregnant with Grady and you started the blog. Today there is a wonderful three month old napping in the next room and a blog full of rich content. But beyond the content, as I read through the DOZENS of comments, I see a network of beautiful friendships. You’ve done a marvelous thing here, Julia. You’ve brought so much encouragement to many readers. I know your old and new friends will continue to read as much or as little as you are able to post. At work, when faced with too much to do with not enough time, I’ve adopted the phrase ‘we can only do what we can do.’ Obvious, yes, but it’s true. Do what you can do, and if that is one post a week, we’ll enjoy it. 🙂 We love you! Thanks for your generous comments, Megan. I have to add, “a wonderful three month old who has a page full of photos on this blog that has gotten quite a few views” 🙂 which is way more fun than the old fashioned brag books, and has the bonus that nobody has to go there unless they want to! 🙂 I am happy to think that anything here has been an encouragement to anyone, but I have gained the most from it. If I may indulge in a very famous quote here, “It is in giving that we receive…” (St. Francis, patron saint of one of my favorite cities :-)) I appreciate your coming to the party! I know I may be partial, but I love the Grady page!! I consider it quite the gift to us, to track his first few months. I live with him and I visit it often! What excellent taste you have my dear! In babies, husbands and in-laws! 🙂 And tell Grady that sometimes a picture really is worth a thousand words! Julia, I found your blog site on UR. Blessing on your one year celebration. This is your DAY. ENJOY TO THE FULLEST!!!!!!!! Thanks so much, Sam! I appreciate your joining the party today! Dear Julia, Wow, look at all the comments for this posting!! I’m new to your blog and just want to extend my sincere congratulations on you persevering on posting everyday. That is quite an accomplishment, considering the trials you are bravely facing. We each have our trials but I consider it a privilege to go before The Throne of Grace and pray for you. Thank you for opening your life to “us”. Beverly, thanks so much for your comments and for the beautiful words from Philippians, which I have long cherished. The prayers and good wishes of so many have been a great blessing to us this past year. I appreciate you joining us on this journey — I will take care to only carry those “light” burdens as promised to us, the nature of which it has taken me a long time to understand, and of which I still need to learn more! I pray that we will be able to face whatever comes “with thanksgiving” and divine peace. Thanks again! Aunt Gia, I think you and I are a lot alike, so I’m answering as if were I making this decision. If you posted less often than daily, I believe you would miss the boost of feedback every day. Plus, we all like to “hear” from you daily. If it were me, though, by now the daily writing would have become cumbersome – perhaps even without everything that is going on in your life. So… I suggest posting simply a photograph with a quote or a thoughtful question 5-6 days of the week with a full-size post or posts on the other 1-2 day(s) per week. Your writing is so good that I would miss it if it were not weekly. But, I think everyone here would be happy even with a quote and photo. I don’t know if it would mess with the purpose of your blog or not, but I would also love to hear occasional updates on Jeff and Matt. Your blog is “Defeat Despair”, but of course that doesn’t mean despair doesn’t sometimes get the upper hand. I believe the online community you’ve built for yourself would be honored to help you defeat despair right here if you felt the need to express it. I also think we would understand if you did not directly answer every comment, though I suspect that may be the sweetest part for you. Whatever you do, your online community will be happy to partake of it. I love you a lot. Thanks for the very meaningful contribution of time, humor, insight and wisdom. I’m finally sitting down after a day of deer season preparation, dog walking, house cleaning, rib cooking, with a nap or two thrown in for good measure. I love your blog! Hope a good “Roll Tide” doesn’t step on any toes! I found you through Upper Room as well. As long as you do something once a week or so, I will be fine. I keep you and your family in my prayers. You have done a good thing here! Leslie, thank you! We really do appreciate the prayers, and need them! I am glad you like the blog; that makes me feel happy! Julia, I just want to say thank you. Thank you for not only sharing such beautiful sentiments, photos, and wisdom, but thank you for letting the Light shine through you. You and Jeff are such an inspiration to me, and no matter what challenges or difficulties you have had to endure, you live with such grace and humility. You both lean on God, and express that through your posts. Your faith and dedication to God and to each other is such a beautiful thing. Your family is in my prayers, and forever in my heart, as true examples of what Christianity is all about. May God bless you all for blessing others. Martha, thank you! I have much to learn from your sweet and gentle spirit, so I am happy to hear you say we have been an inspiration to you. So many of us have been through heartbreaking and difficult times during these recent years, but through the grace of God and the mercies that are “new every morning” we are still here, with so many reasons to be thankful. You too are a blessing to us! I am so happy you made the time to be here and share this celebration! many travel experiences. Thank you for sharing them so generously opening windows to the world for your readers with your beautiful photography. Thank you for openly sharing your family with us. I pray for each of you often and will continue to do so. I have followed most of your 365 blogs. There have been so many excellent suggestions made here. You are a gifted and resourceful person. I’m sure God’s wisdom will guide you as you follow Yogi Berra’s advice at this “fork in the road”. I am a retired first grade teacher living in Ohio but now spending wintering in Florida. My husband and I spend many weeks throughout each year volunteering at an Appalachian mission. Congratulations on 365 Defeating Despair blogs. Thank you for inviting me to your party. WHAT FUN! Rosalie, thanks so much for taking the time to tell me a bit about yourself, and for your very lovely words about the blog. I am glad you like the travel photos; it’s such a cliche to bore people with one’s vacation snapshots and I’m sometimes afraid I’m doing just that! But then I think of how much I have enjoyed the photos posted by other bloggers and I feel somewhat reassured. Travel was one of the greatest gifts my parents gave me, and that gift continued through Jeff’s Air Force career and my own job at USAir. Each and every trip I ever took changed me in some way, hopefully for the better. Your retired life sounds ideal, the sort of life I refuse to quit dreaming of sharing with Jeff someday. I think dividing time between two different homes, with some time for volunteer or mission work, would be perfectly suited for both of us if our circumstances should ever allow it. Till then, I am always interested to hear what others are doing in retirement. The generation of my parents, my friends’ parents, and our family friends and relatives, blessed us with many examples of well-lived lives that extended (and still extend) into 70’s, 80’s and beyond. I very much hope to live up to their examples through whatever remaining years are granted to us. Thanks again for being here, and for your encouragement! Julia, I found your blog in a comment you made in The Upper room in feb. 2013. I like the idea of variety of posts, what ever time intervals suites your schedule!! I enjoyed the quotes, your thoughts and finding out about the author of the quote. Thanks for making the start of my day, along with my tea and Joe’s O’s. Thanks John, I think the amazing reach of the Upper Room has been well demonstrated here at this blog. Years ago at a writer’s conference we were reminded that writing for such publications would never make us rich or famous, but would actually allow our words to reach far more people than we would be likely to reach with any book. I’m so pleased to be part of that unique online fellowship. Joe’s O’s are a great favorite in this house as well! Now that I have Jeff drinking organic green tea (for medicinal reasons) it sounds as if morning is very like ours! Thanks so much for your visits here, and for taking the time to comment tonight. I really appreciate hearing from those who have enjoyed the blog. Julia, although I also posted a comment at your Invitation page, I am late coming back to post tonight. Your topic today is so fitting, as you really have traveled this road for a year. What a year it has been! I am so proud to have been a small part of Defeat Despair, to comment often, and hope and pray that it helped. I applaud your accomplishments and I applaud you. I remember many quotes and photographs here and I do have a few favorites. I loved the photo of Pasha looking out at the water, your mom and dad shelling peas, and the one of you with your brownie camera. I just wish the best always for you and your family. Sheila, thanks so much! You have some of the same favorite photos I do – just goes to show we really MUST be twins separated at birth! You will definitely be one of the bright spots of 2013 in our memories! And hopefully in years to come as well. Thanks so much, for everything! Love and “thank you” prayers! I have so enjoyed and been inspired by your blog. Thank you for facing your despair so courageously. This has been a very difficult year for our family and many days I have gained strength to face my sorrows because of something you said on your blog. I have loved learning about your family, and praying for you and Jeff. I hope you keep blogging! Faith, I am so happy to have stayed in touch with you; thank you for visiting and reading! I guess a lot of people might feel intimidated to have an English professor reading their work, but you were so gracious and encouraging from the very first time I met you. I remember well that very enjoyable lunch we shared when were were both at the conference at Wheaton, and feel especially honored by your presence here. I hate to hear that your year has been difficult, but I am glad for anything I wrote that may have helped you. I hope we will always stay in touch. Thanks for making the time to be here tonight! Hi Jules…it’s late, I know it but wanted to leave a few words for you. I suspect this blog has been more therapeutic and soul-refreshing for you than most of your readers. Yes, we’ve benefited greatly but it has been manna to you like the deer pants for water. Life, by its very nature, is distracting, endless tasks/chores pulling at us, crises to be dealt with…competing for our time and attention. They are mostly dutiful ones, necessary ones however, unfulfilling for the most part in the core of our being. I think though, when all is said, that only you can assess the challenge before you about continuing this journey you started on. I do not believe anyone that has marveled at your beautiful photographs and soaked in your inspiring words, however short or long they may be, through this blog, wants them to cease. I know we will all respect and honor the direction you take. Blessings from the munchkins and their tired Mommy! Nancy, I just had to smile when I read the words “munchkins and their tired Mommy!” Thanks so much for your kind words. I remember fondly all the times you drove me around so I could snap photos for my photography class. Even late nights when I wanted to photo the bad parts of town in Nashville! I still have some of those photos, as well as some I took of you in east Tennessee. Thanks for everything for so many years, and tonight especially for taking the time to be here! Love to you and the guys!! Wow! You’ve had quite a celebration today. I’m here late and you’ve no doubt gone to bed after such a busy day, but it’s still technically Saturday in California. Ha! Julia, like you, I blogged every day for a year. There were challenging days, but it was important to me to set and achieve that personal goal and I’m so glad I did. Now I blog Monday -Friday and take the weekends off. It’s a comfortable schedule and I enjoy it. Thanks for this post. Happy anniversary! Alys, thanks so much for coming to my party, even if it was on California time! Based on my tendency to want to stay up late and sleep even later, I guess my body is still on California time anyway! Wow, I didn’t realize you had a daily blog in the beginning – I’ll have to go back through your archives sometime. I do agree that it’s so fun when bloggers write about what they enjoy or really care about. 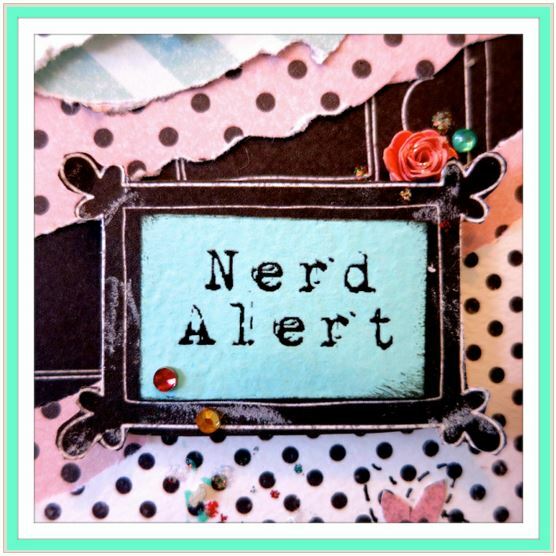 When I think of all the blogs I discovered that I loved right from the start, that is the common thread in all of them. A lot of people who hope for traditional publishing fall into the trap of trying to write what they think will sell. But as someone once said about the perennially beloved classic Charlotte’s Web, it’s highly unlikely that anyone ever told E. B. White to write about a spider who saved a pig’s life! Thanks so much for your ongoing help, your encouragement, and example. I appreciate your making the time to be here! Julia, you are always so gracious and inclusive. I love that about you. One thing I’ve noticed about my own blog over time is my ability to be more ‘in the moment’ and more ‘myself.’ It’s not that I ever wrote in a false voice, but that I’m more comfortable now than before writing in a less presentational way…does that make sense? Alys, thanks for the compliment! Yes, I think I’ve experienced something similar in terms of expressing myself. Partly it has to do with what is often referred to as “finding one’s voice,” but in my case, I think I was simply terrified to write things online for just anyone to see. Even leaving comments intimidated me (and I think many people still feel that way). For years I wrote, and wouldn’t let anyone read what I wrote. Almost as if everything was a diary, even if it was only a poem or short story. It wasn’t so much that I feared what people would think, I just felt as if it was all very private. One thing about getting older is that it’s very freeing, at least for me, and I’m not as self-conscious as I used to be. I think the interactive nature of blogging lends itself to a more conversational style, too. Traditional writing was more like a formal lecture, whereas blogging is more like a talk show or panel discussion. I’m so glad you’ve brought your writing out in to the light of day for the rest of us. I remember writing a very personal piece about my childhood and sharing it with friends on Facebook for the first time. I was terrified! But, the reception was warm, caring, complimentary and engaged. It was a great entry into the world of sharing my writing. Of course, we all had to share our writing in school, but somehow that was different, wasn’t it? Yes, it’s totally different in school. I can’t remember any teacher ever praising my writing or encouraging me to pursue that as a goal. I did find some old elementary school report cards that made reference to it, I think, as well as some old NEDT scores where I scored very highly in writing. But I never even had anything I wrote accepted for the school literary magazine. What I love about online environments is that it makes possible the connections between people who have similar interests and goals, no matter where they live or whatever else might usually keep us from getting to know each other. The distance paradoxically works against many of the usual inhibitions, I think – for example, it takes the whole business of judging by appearances mostly out of the picture. Well said, Julia. I agree…the ability to find like-minded people from around the world is amazing. And I’m amazed too that we do find each other. The blogging world is vast…yet here we are. I’m stunned that you didn’t get published in your school magazine. Go figure! You’re hear now and I’m glad of that. I see that many others feel the same way. Thanks so much, Alys! I think I just had a lot of competition in high school – we had some pretty brilliant students considering we were a public school. Plus I think blogging is a whole new way of writing, much more conversational and friendly. So glad you’re here! I really appreciate your encouragement. I’m glad you’re hear, too. Blogging is a unique medium, and my new favorite! It really does have advantages that I think writers of earlier generations would have loved. Here we all are in this virtual reality that nobody dreamed of even 30 years ago. I’m just waiting for the day we can beam ourselves up :-)! Yes, it would…but there might be disadvantages; just think — it would be very hard to get rid of me then :-). Who would ever want to be rid of you. (wagging finger). I wish I could zip over with some hot soup, a shoulder rub and a bit of distraction. Instead…words of hopeful comfort during this time. Thanks Alys, just your comments are a welcome distraction and I appreciate your comforting words. Hot soup sounds great. I drank some of the ubiquitous bouillon they keep here for anyone who wants it, when I tired of the coffee, and it was surprisingly filling and good. So, except for the shoulder rub, mission accomplished! 🙂 Thanks for being here. Well done! Food can be a real comfort at difficult times. It’s a shame hospitals don’t to better with this. I’m glad the bouillon hit the spot. How is Jeff today? How are you? I, too, discovered your blog through the Upper Room and have been reading it ever since. I like your strong and positive attitude! It gives me strength every day! However, as someone else posted, please blog when you are able, post previous ones as well as I believe you will find strength from re-reading them, too. Thanks so much Deb, I appreciate hearing from you. It’s good to have so many who are supportive of me regardless of what I decide. I’m happy you are reading the blog! Oh Julia I do hope you continue every day IF YOU CAN! I do understand how it is time consuming and much goes on but I sooo look forward to your posts and am inspired by the daily wisdom. Quotes and photos are my favorite. I am sure we all would understand if you missed at day here or there or posted a “rerun”. And what to include??? Whatever your heart desires or is lead to that day. Mix it up if you want. Always praying for you and your family that I “met” in the Upper Room. Blessings sister. Thanks Barb, I am so happy you like the daily post. I will most likely post at least a “re-run” since I have one of those for every day. I appreciate your taking the time to comment and let me know you are reading. It means a great deal. Hope to see you at UR again before too long, too. I know it’s late and I have missed a lot. Happy Anniversary to your blog, dear Julia! Shall be back with my detailed comment. Some deadlines are keeping me busy. Bindu, no worries, I’m just happy to have you here anytime! I know how busy you must be with motherhood/teaching/life so I appreciate your making the time to stop by here. Thanks so much for your kind thoughts and good wishes! Congratulations on your 365th post. I think search engines brought me here. I’ve followed your blog on & off, but every time I’ve been here, I found your posts inspiring. Giving all that you’ve had to go through, I can see how writing a blog post daily was distracting & freeing and how you came to enjoy it. I would say do what you’re reasonably able to do- writing/creating your blog posts should be fun, not a chore. But try to be consistent, so people know when to expect. Thanks so much, I enjoy your blog also when I am able to get over there. I hope to keep posting something daily, even if it’s only very brief. I appreciate your visits here, and your encouragement!